A Will is an important legal document which sets out a person’s testamentary intentions. If a person dies without having made a Will, the person dies intestate and their assets are distributed in accordance with a statutory formula. In such a situation, the people the deceased may have intended to share in their estate may not receive anything at all or a significantly lesser amount. The other issue with an intestate estate is that it also leaves a costly legal mess for your loved ones to have to sort through at a time when they are likely to be also grieving at their loss. It is much simpler to have in Will in place and avoid this. 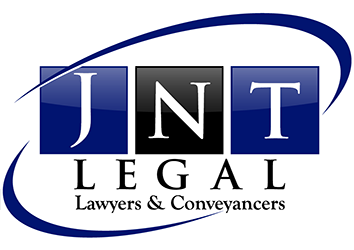 At JNT legal we will work with you to prepare a Will which gives effect to your testamentary intentions. We will discuss your personal circumstances and undertake an estate planning exercise taking into consideration what your assets comprise, superannuation issues, whether your assets may need to be restructured, your relationship status, whether you have children of previous relationship whom you wish to benefit, guardians for your minor children and testamentary trust issues. An Enduring Power of Attorney is a legal document which gives another person the authority to make legal and financial decisions on your behalf. This document can be used in several ways – from having another take care of your affairs (say you are travelling for an extended period of time) to times of extended illness. The authority can be amended to suit your particular requirements – say for a limited time and or purpose and can also be set up to continue (‘endure’) to be used if at some point you lose capacity. An Appointment of Enduring Guardian appoints person(s) to make health and lifestyle decisions on your behalf should you at some point in the future lose capacity to make decisions for yourself. Persons commonly appoint their spouses and or children to act as their Enduring Guardians and can include specific provisions authorising the release of medical information and their directions as to medical treatment options – for example if the person is held on life support. Wills, Power of Attorney and Enduring Guardians are not ‘old persons’ documents which is a common misconception held by some people in the community. These people believe that when they get ‘older’ they will get these documents done which unfortunately in some cases is too late. If you own assets and or have minor children, then you should consider having put these important instruments in place whilst you have the capacity to do so. If you would like a Will, Power of Attorney and or Enduring Guardian, then please contact our office to discuss how we can assist. If needed, arrangements can be made for one of our experienced solicitors to attend with you at your residence (including nursing home) or at hospital.